Diamonds are forever — as long as you treat them with the proper care. Here's exactly when to take off your engagement ring. If you’re newly-engaged, you probably want to flaunt your engagement ring whenever possible, and we’re definitely on board with that (we love seeing your #JustSaidYes moments!). 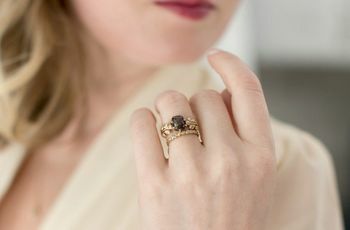 But in order to keep your bling safe and looking its best, there are a handful of occasions when to take off your engagement ring. 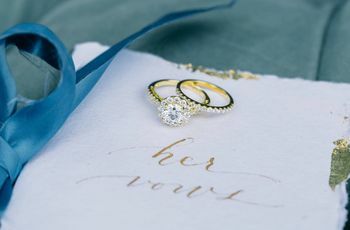 Along with being a meaningful token from your fiancé(e), your engagement ring is one of the most valuable items you'll ever own, and it's important to make sure that it lasts for years to come. Diamonds are forever – as long as you treat them with the proper care! 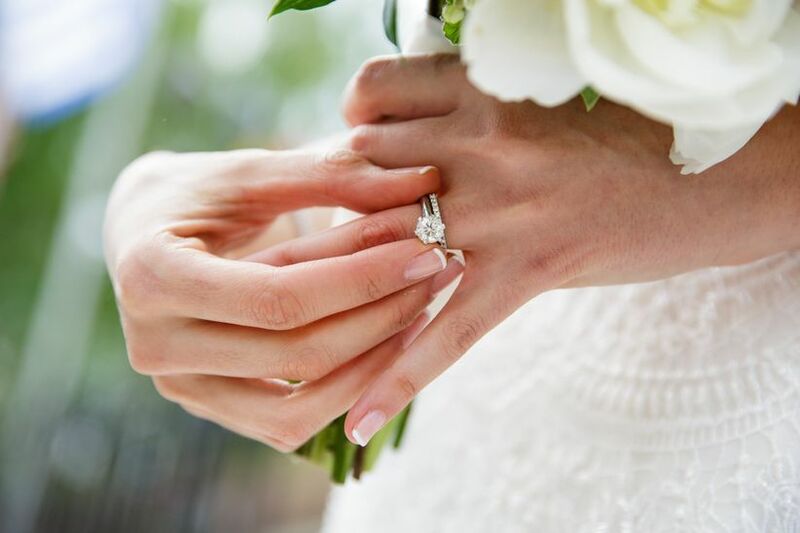 Here's exactly when to take off your engagement ring for safe keeping. Workout equipment, fast-paced movements and sweat will all increase the likelihood of damaging your ring — it could get caught on loose clothing, hit a hard surface, or even hurt someone else if you're playing a team sport. If your ring accidentally falls off while you're outdoors (running, rock climbing, etc. ), you might not even realize it's missing until it's too late. Being in the water, especially if it’s cold, causes your fingers to temporarily shrink. Even if your ring is normally a snug fit, it could easily slip off in cold water and get lost. Pool chemicals, such as chlorine, can harm your ring, and when you throw sunscreen or a sandy beach into the mix, things get really messy (not to mention that crashing waves make it nearly impossible to ever find your ring again if it falls off in the ocean). This is one of the most important times when to take off your engagement ring — trust us, it's not worth the risk. You can probably imagine the scenario here: you’re washing dishes when suddenly your ring slips off and falls down the drain. Yikes! If you don’t want to remove your ring every time you wash dishes, invest in a pair of rubber gloves. They'll keep your ring safe and will also help your hands stay soft and moisturized. Showering with your ring on exposes it to soapy suds, conditioners, and gritty scrubs. 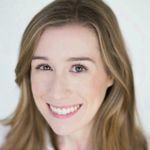 These products can scratch or stick to your ring, leaving residue that will make it look lackluster. See More: Can We Guess Your Engagement Ring Style? Don’t worry about removing your ring if you’re making a simple meal — chances are you won't do too much damage if you're only heating up a can of soup or eating cereal. But if the cooking process is more hands-on, for example kneading dough, cutting vegetables or making fresh burgers, you should take your ring off. 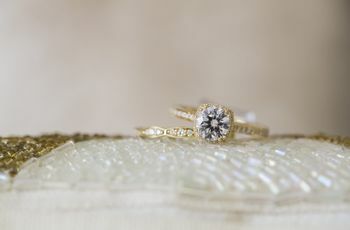 At the very least, you don’t want food getting stuck between the stones or in the setting (if that happens, here's how to easily clean an engagement ring at home). While you’re asleep, your ring can get caught on your sheets or hair, especially when you toss and turn. Over time, this can loosen the stone(s) or bend the setting. You might also scratch yourself or your S.O. if the ring has sharp edges or prongs. Keep a ring dish on your nightstand as a reminder to remove it before snoozing. Cleaning, gardening, painting, moving furniture…there are a lot of different ways you can accidentally damage your ring while working around the house or renovating your space. Don’t take the chance! Just like soaps and conditioners, applying lotion and other beauty products while you’re wearing your ring will create product buildup over time. Some abrasive chemicals, such as acetone and toothpaste, may even discolor or weaken the ring. To keep it in top shape, only put your ring on after you've finished your beauty routine. Be sure to give it a gentle cleaning if you accidentally forget when to take off your engagement ring. 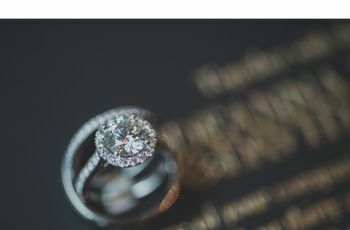 It’s important to have your ring inspected a couple times a year, and most jewelers will offer this as a discounted or complimentary service if you purchased the ring from them. 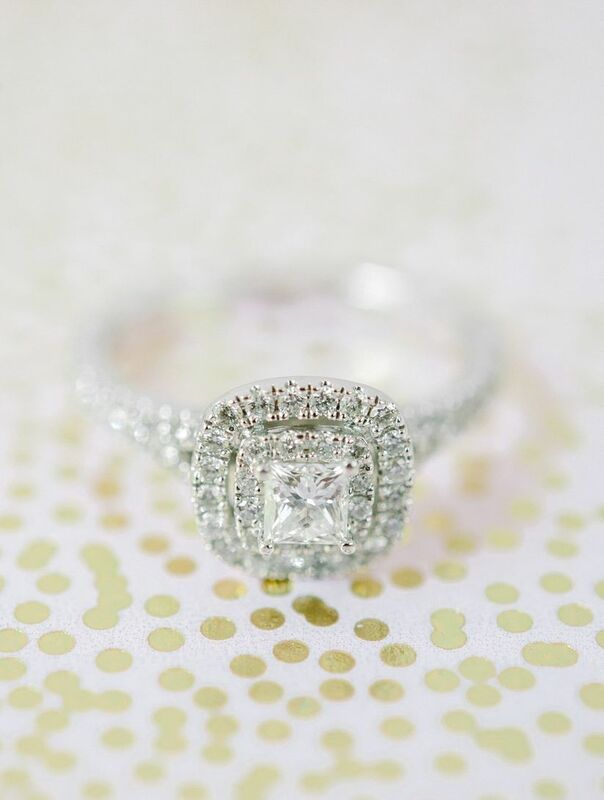 During the inspection, the jeweler can make any necessary adjustments, such as tightening the band, fixing loose prongs and restoring your ring to its original sparkly state with a deep cleaning.